The command above will restart the IDENTITY at the desired number. 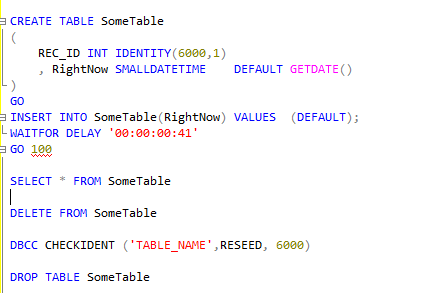 Note: Truncating a table will also reset the IDENTITY to the initial seed value. Next Next post: Rudy: An MCITP Today. Rudy: An MCM Tomorrow?